The Ohio State University, commonly referred to as Ohio State or OSU, is a public research university in Columbus, Ohio. Founded in 1870, as a land-grant university and ninth university in Ohio with the Morrill Act of 1862, the university was originally known as the Ohio Agricultural and Mechanical College. 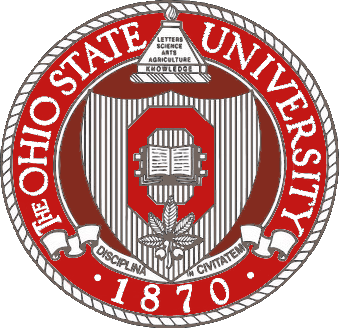 The college began with a focus on training students in various agricultural and mechanical disciplines but was developed into a comprehensive university under the direction of Governor Rutherford B. Hayes and in 1878 the Ohio General Assembly passed a law changing the name to "The Ohio State University". It has since grown into the third largest university campus in the United States. In 2007, Ohio State was officially designated as the flagship institution of Ohio's public universities as part of the newly centralized University System of Ohio. Along with its main campus in Columbus, Ohio State also operates a regional campus system with regional campuses in Lima, Mansfield, Marion, Newark, and Wooster. The university is also home to an extensive student life program, with over 1,000 student organizations; intercollegiate, club and recreational sports programs; student media organizations and publications, fraternities and sororities; and an active student government association. Ohio State athletic teams compete in Division I (Football Bowl Subdivision for football) of the NCAA and are known as the Ohio State Buckeyes. The university is a member of the Big Ten Conference for the majority of sports. The Ohio State Buckeyes men's ice hockey program competes in the Big Ten Conference, and its women's hockey program competes in the Western Collegiate Hockey Association. In addition, the OSU men's volleyball is a member of the Midwestern Intercollegiate Volleyball Association (MIVA) while the men's lacrosse team is a member of the ECAC Lacrosse League. OSU is one of only thirteen universities in the nation that plays Division I FBS football and Division I ice hockey. Alumni and former students have gone on to prominent careers in government, business, science, medicine, education, sports, and entertainment. Michael V. Drake, former chancellor of the University of California, Irvine, assumed the role of university president on June 30, 2014.